class-beating characteristics such as independent front suspension, which increases stability and safety in all terrain conditions. With their extraordinarily compact dimensions, these tractors are perfectly at home in even the most narrowly spaced fruit orchard and vineyard. This has been made possible by the unique geometry of the front axle carrier, allowing for a minimum steering radius of just 3 m. Featuring FARMotion engines, and with a hydraulic reverse shuttle, Stop&Go and ComfortClutch offered on the GS version, these tractors are a concentrated package of technology. The LS version, with a mechanical reverse shuttle, is extraordinarily efficient. The hydraulic and electronic systems work in concert to offer unrivalled control and stability. 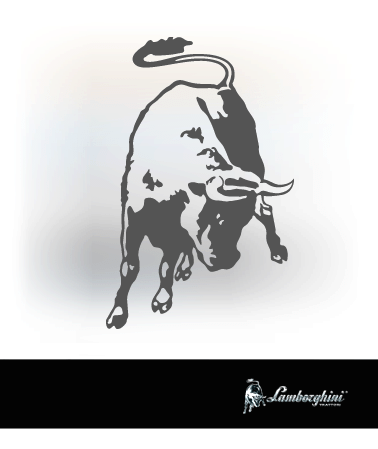 Lamborghini Trattori: the essence of style. Forms with no sharp corners or edges describe a compact, clean surfaced structure. The compact cabin is more gentle on the surrounding plants, preventing damage to the fruit while passing between the rows. With superior quality soundproofing, anti-vibration materials used for the interior trim of the cab to insulate the driver from the exterior noise and vibration, the cab of Spire S/V tractors is a comfortable and pleasant place to work. FARMotion engines - the result of a continuous pursuit of immediate response. Flexible engines delivering the impressive torque needed for working between the rows of the fruit orchard and vineyard with implements such as atomisers and in-row cultivators with readily available power at all times and impressive fuel economy. Common Rail injection, 7 hole injectors and a new intake manifold geometry improving the flow of air into the engine optimises combustion for superlative performance at all engine speeds. To ensure compliance with Stage 3B emissions regulations, FARMotion engines are equipped with electronically controlled EGR with external exhaust gas recirculation and a DOC catalytic converter. The driver can also store and recall engine speeds. A transmission that's a pleasure to use, allowing the driver to maintain the ideal speed for any task in the professional fruit orchard and vineyard world. With 5 speeds and the ECO function, the top road speed of 40 km/h is attainable at engine economy speed, while between the rows, the creeper gear (30+15) and 3 stage Powershift gearbox (45+45) make it possible to respond to sudden peaks in load to maintain the ideal ground speed while keeping the engine operating as economically as possible. Mechanical (LS version) or hydraulic (GS version) reverse shuttle, with Stop&Go, ComfortClutch, a three or four speed PTO (540/540ECO/1000/1000ECO) and a ground speed PTO. Automatically managed dual traction and differential locks ensure that the power of the engine is transferred effectively to the ground, while a potent all-wheel braking system minimises stopping distances. Demanding only the best from a hydraulic system is a must when you're working in the fruit orchard and vineyard. Spire S/V tractors are equipped with a hydraulic system with a single pump or dual tandem pumps delivering up to 64 l/min, to ensure the crucial power needed for working with the implements typically used in these specialised applications. a choice of a 6-way system with 3 mechanical distributors or with 4-ways duplicated by the rear distributors, available in the following configurations: 4-ways with two mechanical distributors for belly mounted implemented, or 6-ways with two electrohydraulic distributors plus a duplicated distributor with flow regulator. Category 2 rear lift transformable into a Category 1 lift with mechanical hitch or mechanically or electronically controlled automatic hitch, for an impressive lifting capacity of 2,600 kg. Rear linkages fastened to the link carrier pin with a torsion damping link system, and adjustable lower link ends. Agile, comfortable and completely at home between the narrow rows typical of specialised farming. The short wheelbase and special configuration of the front carrier make steering angles of up to 60° possible. The cab is pressurised to protect the driver effectively when applying chemical crop treatments, while the air conditioning system keeps the interior comfortable even when working in high temperature conditions in summer. The Spire S version is available with a choice of 2 platforms: a broader variant for 28" tyres, and a narrower version for wheels with 20" tyres, which also allows the use of 24" tyres to ensure a lower overall height but with more interior space. All the controls are ergonomic and easy to identify. The generously sized windscreen and windows ensure extraordinary all-round visibility. Spire V tractors may be equipped with a 20" platform; this variant is the lowest, narrowest model in the entire range, while still offers extraordinary agility and versatility. Innovative hydraulic system and independent wheel front suspension. A revolutionary hydraulic system with 3 selectable levels and a flow rate of up to 131 l/min To be competitive, the hydraulic system of a tractor must offer the following: generous, programmable flow rate; precise, rational distributor controls; an adequate number of couplers both at the rear and front of the tractor; the ability to merge multiple functions in a single controller and, above all, a modular design allowing the machine to be configured to meet the specific needs of the customer. Lamborghini Trattori has stepped up to the challenge, offering three new dedicated hydraulic systems for its specialised models: High-Flow, Power-Flow and Setting-Flow.In addition to all this technology, Lamborghini specialised vineyard and orchard tractors are now also equipped with ActiveDrive hydropneumatic independent front suspension with active control. A dedicated electronic control unit adjusts the spring and damping rate for each individual wheel, resulting in a suspension system with extraordinarily effective dynamic behaviour that ensures outstanding precision in mechanised canopy management. The semi-active hydropneumatic articulated quadrilateral suspension is managed by an adaptive electrohydraulic system working in concert with an electronically controlled differential (DTC). 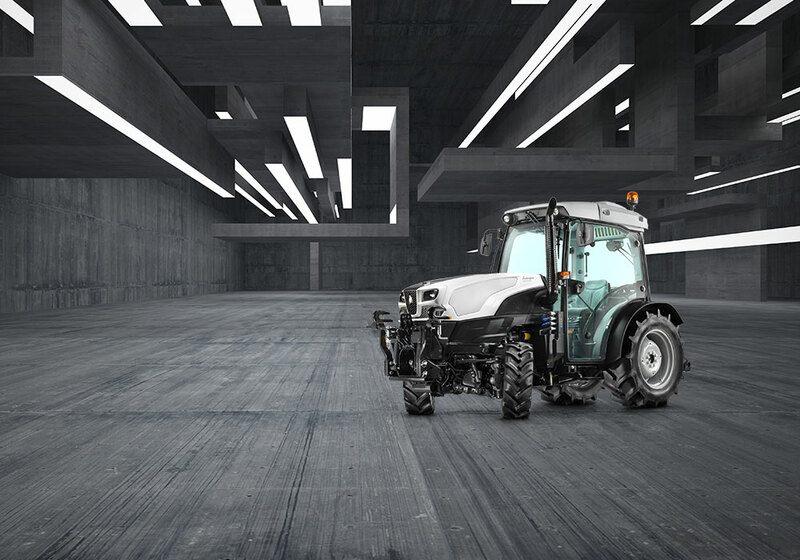 This exclusive technology, available previously only on more costly, range topping tractors, offers a degree of stability control unrivalled by anything else in this class.